Precious jewellery comes in a variety of finishes and materials. 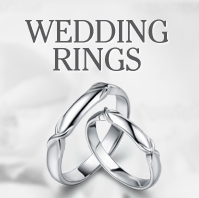 For engagement rings and wedding rings, necklaces and more, silver is a very popular choice. 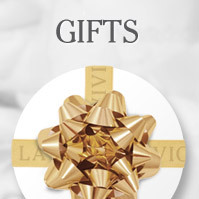 At La Vivion, you can create your own unique pieces of diamond jewellery using this timeless precious metal. What Do You Need To Know About Silver? The most popular type of silver used in jewellery making is sterling silver. Sterling silver has long been the standard of silver for rings, necklaces and so on as it is over 90% pure silver. Several alloys are added to the silver to improve its durability and strength. This process ensures that sterling silver won’t wear down. So if you’re planning on designing or purchasing an engagement or wedding ring, make sure you choose sterling silver over silver plating for a hardwearing but beautiful piece. Pure silver is relatively soft and malleable. These qualities make it easy for jewellery makes to work with, but at the same time they make it so silver jewellery can be easily damaged. This is why alloys are used to create the durable sterling silver. The actual ratio of pure silver to alloy in sterling silver is 92.5% silver to 7.5% copper. Jewellery makers have been experimenting for centuries with different silver purities and metal combinations. Copper has been found to be the best alloy for silver. This is because copper improves the metal’s hardness and durability but without compromising silver’s stunning natural colour. Like most precious metals, the price of silver varies. However, the addition of copper actually has little effect on the overall value of an item of sterling silver jewellery. The price instead is affected by the amount of involved in creating of the piece, the craftsman’s individual skill and how intricate the design is. Sulphur and hydrogen sulphide found in the air can tarnish silver over time. Silver tarnish is a natural dulling of the metal after coming into contact with these two elements. Whether it’s a wedding ring, earrings or necklace, you should always store your silver in jewellery box or a cloth pouch. When cleaning your silver, make sure you use a product that has been specially formulated for use with silver. There are plenty available including fine-silver solutions, polishes powders or cloths that are appropriate for cleaning silver. Tarnish is best removed when it first becomes noticeable. Wearing your silver jewellery often is the best way to avoid tarnish. Regular cleanings will ensure that the silver remains bright and sparkling. With regular care, silver can last a lifetime. 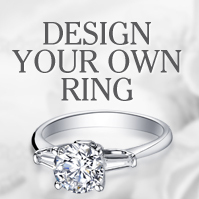 For more information our collection of silver engagement and wedding rings, or to create your own bespoke piece of jewellery, contact us team at enquires@lavivion.com or call us on 0800 046 1340.